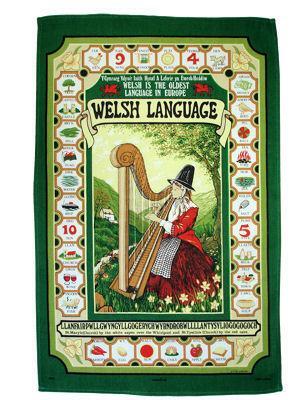 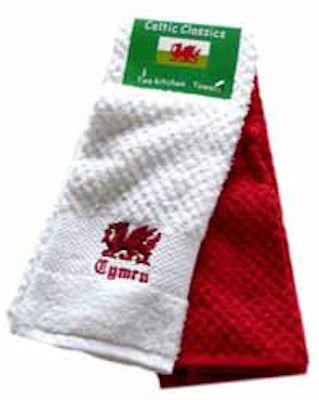 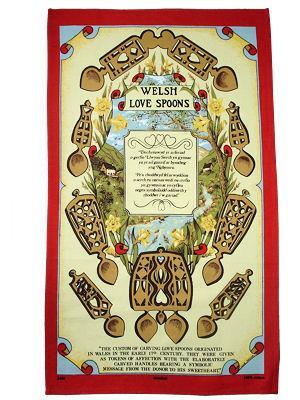 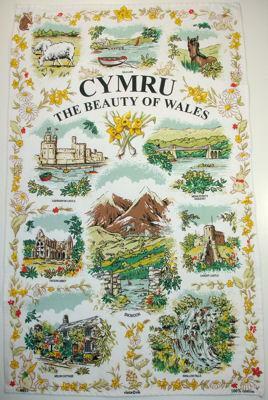 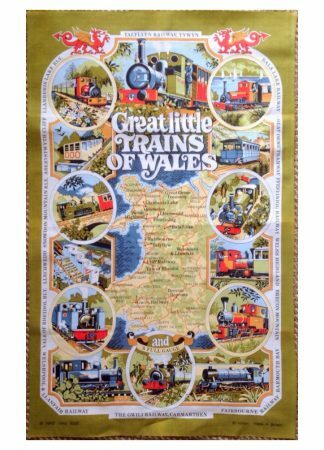 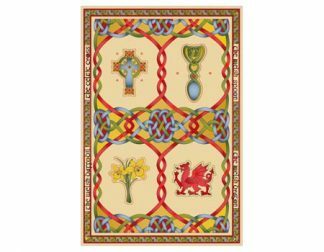 The Beauty Of Wales Tea Towel is a colourful depiction of Welsh attractions around the Principality. 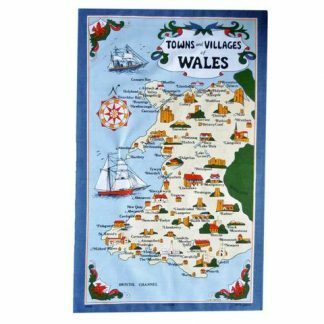 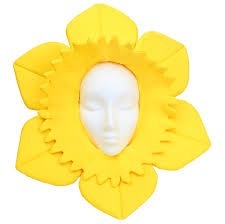 Bala Lake, Caernarfon Castle, Menai Straits in Anglesey, Tintern Abbey, Cardiff Castle, Snowdon, Swallow Falls and a delightful Welsh Cottage. 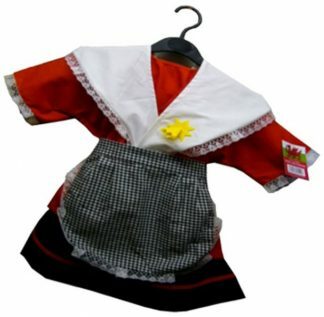 The border has a lovely pattern of daffodils and wild flowers with a little comic bunny tucking into a carrot.